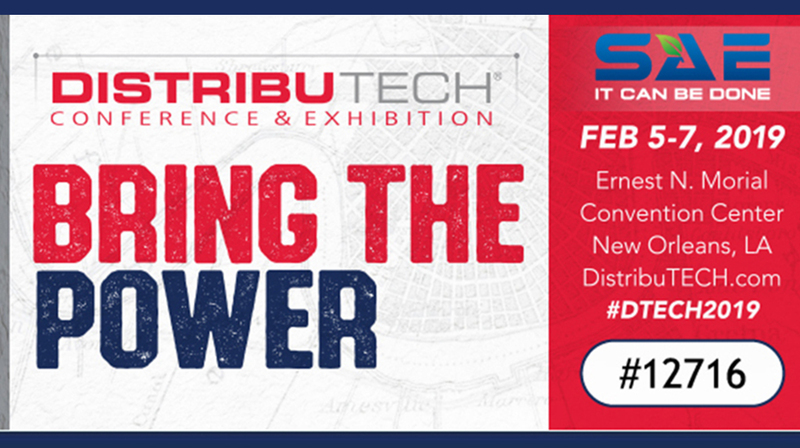 Be Our Guest at DistribuTECH - SAE Inc. This complimentary pass will give you admittance to the transmission and distribution industry’s premier exhibition. Stop by SAE Booth #12716 to learn more about our ConduDisc® Utility Pole Ground Plate or conductive backfills: Conducrete®, ConduFlow™ and ConduForm™. Use our special invite link here: SAE VIP EXPO PASS. Select the Visitor Only Registration Type. The discount will already be applied for the Visitor Only option. You can upgrade to Individual Full Conference for full price, if desired.